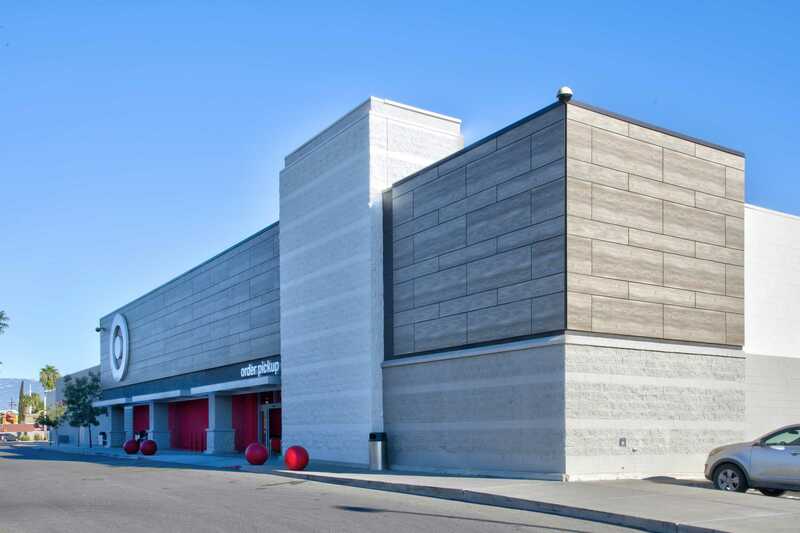 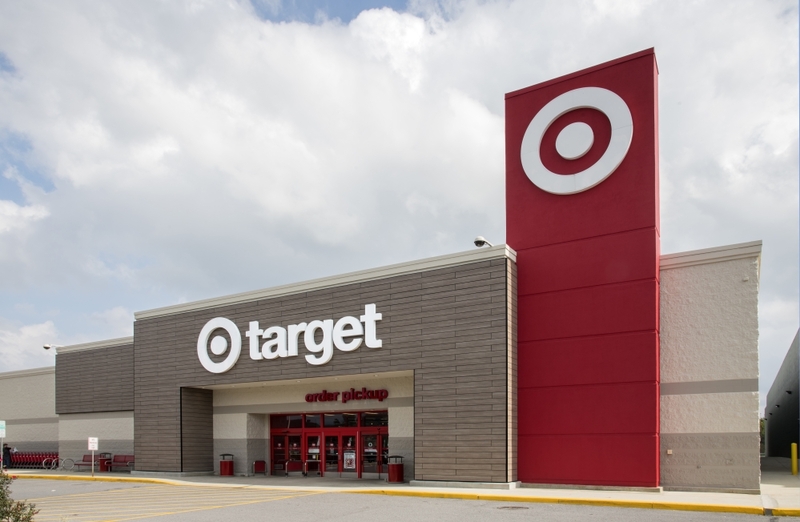 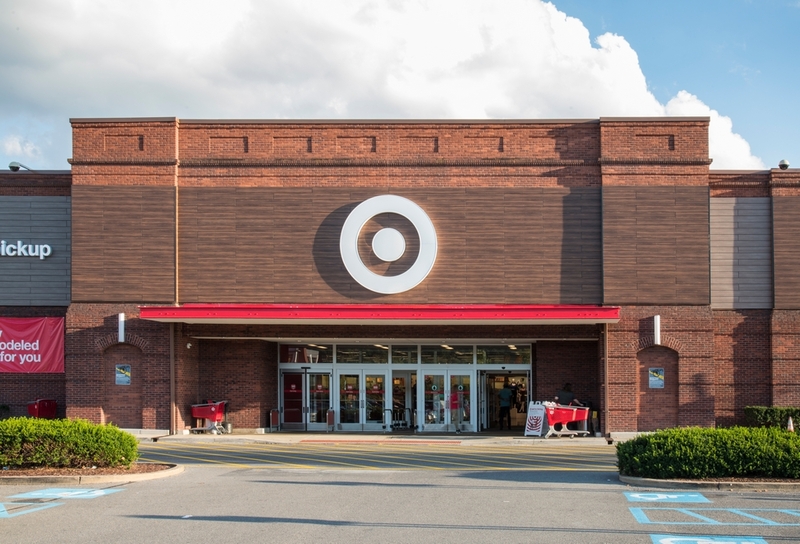 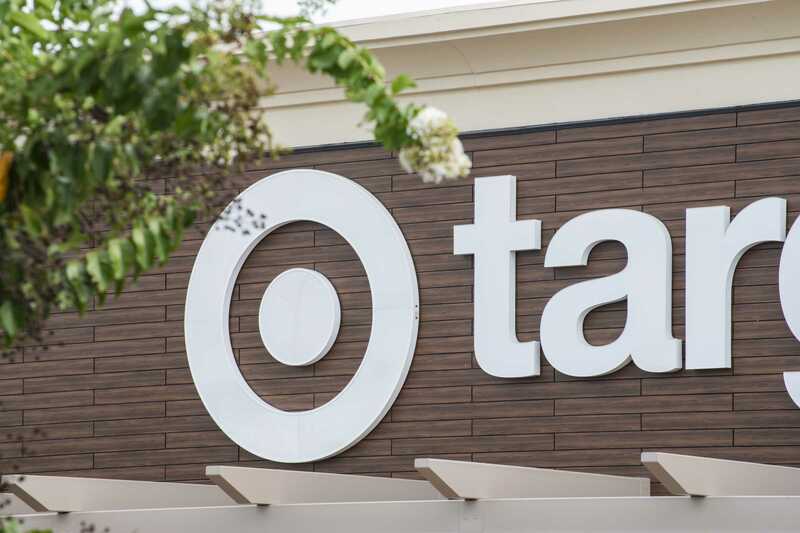 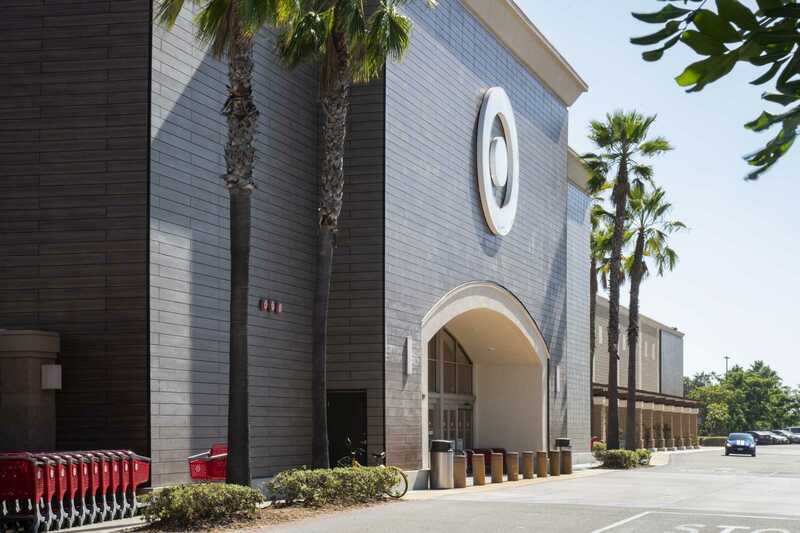 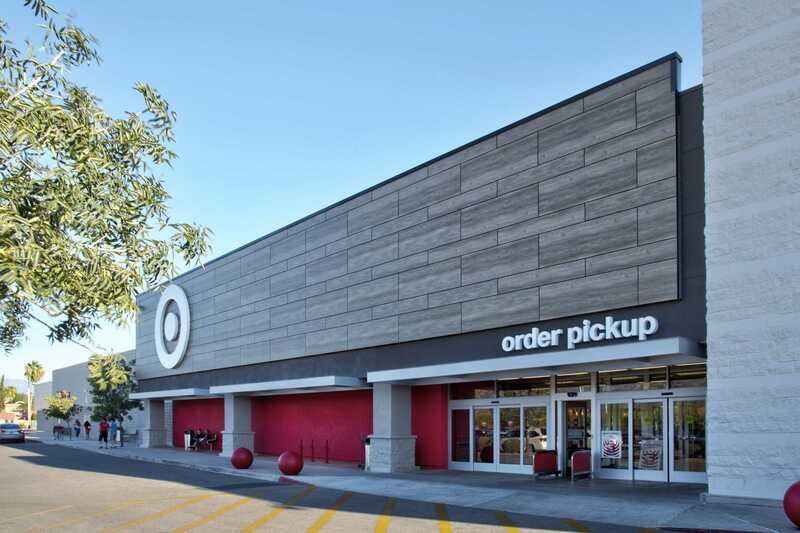 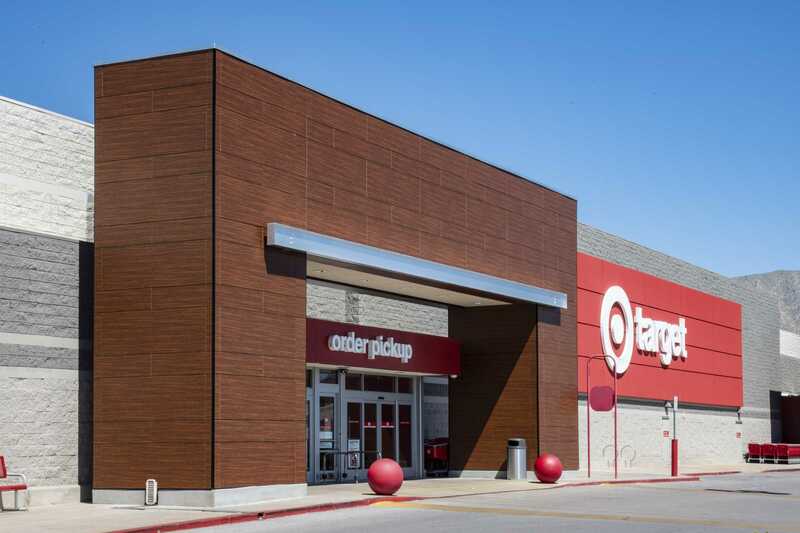 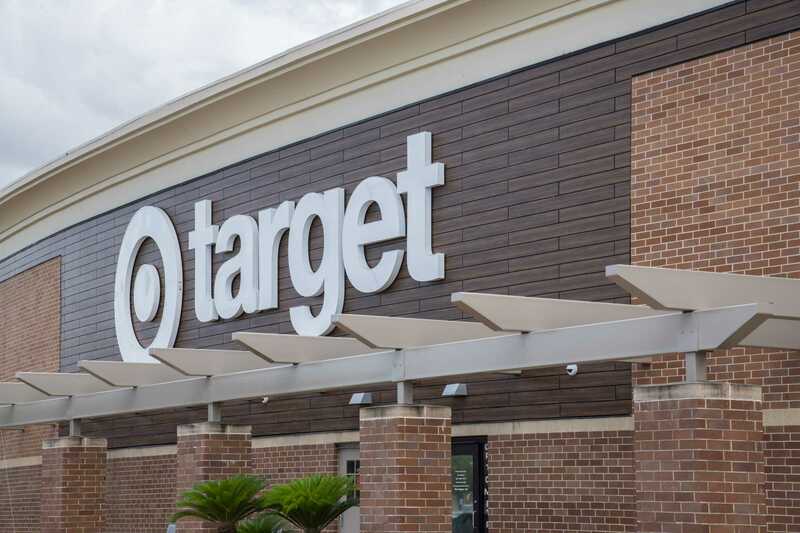 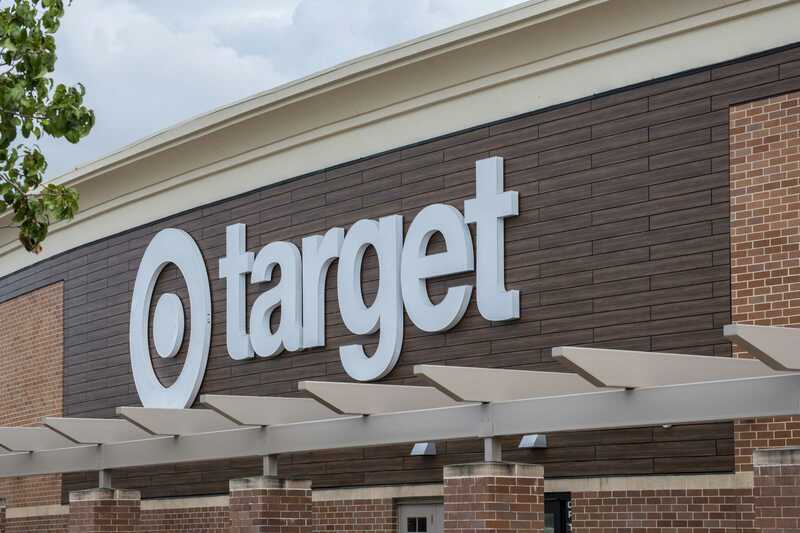 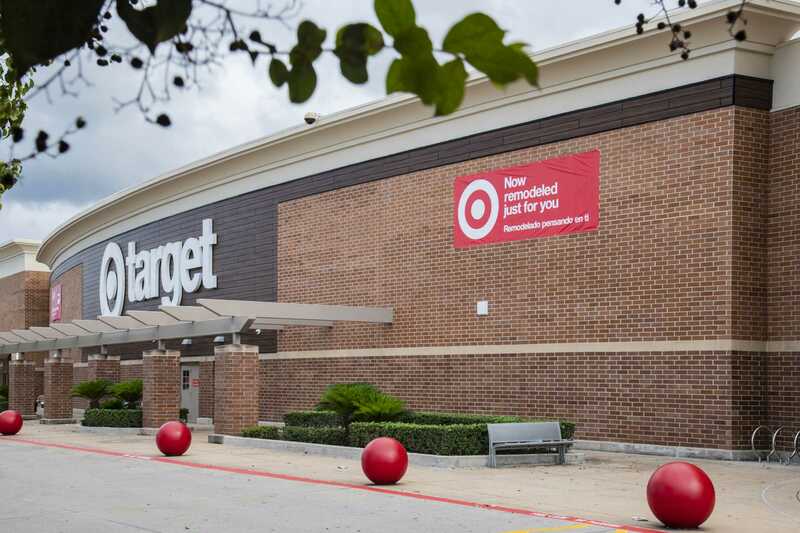 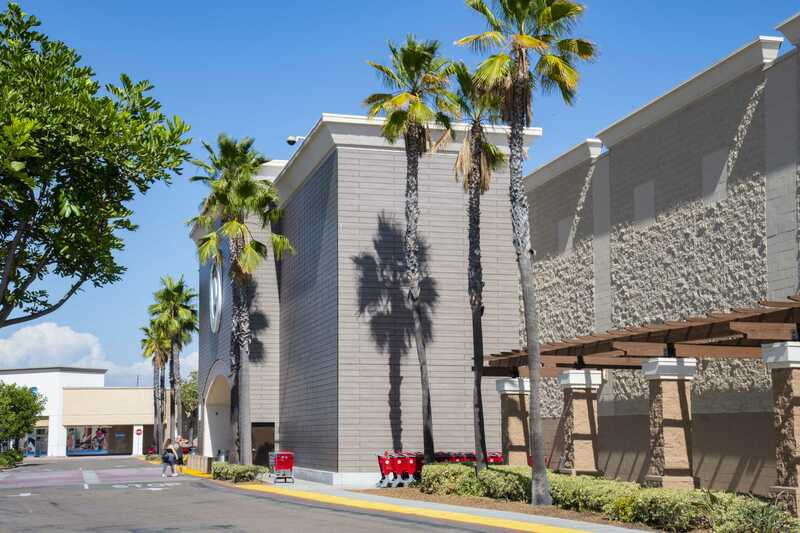 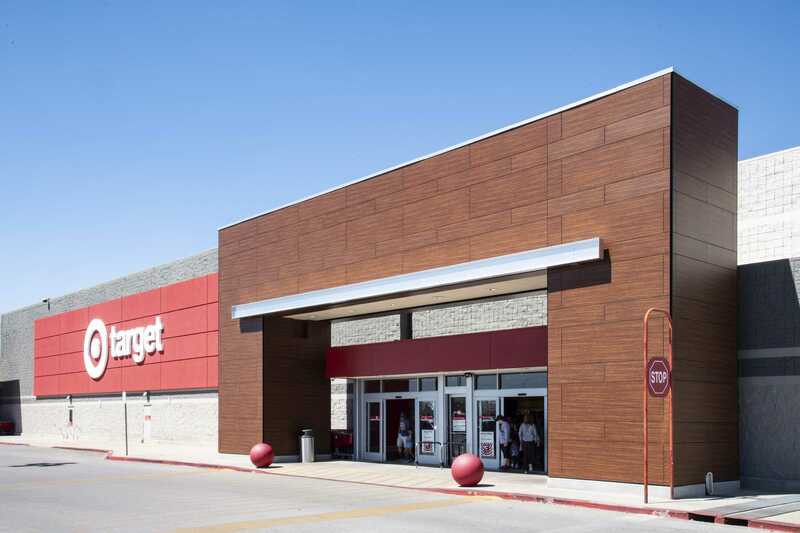 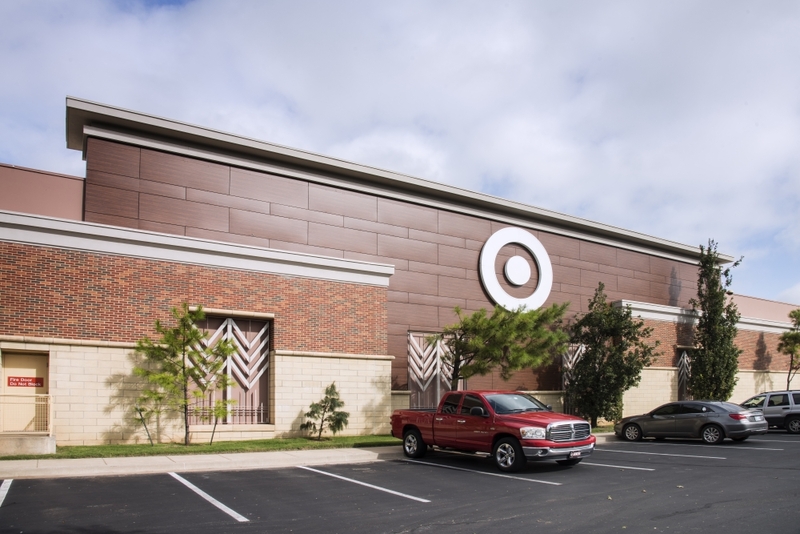 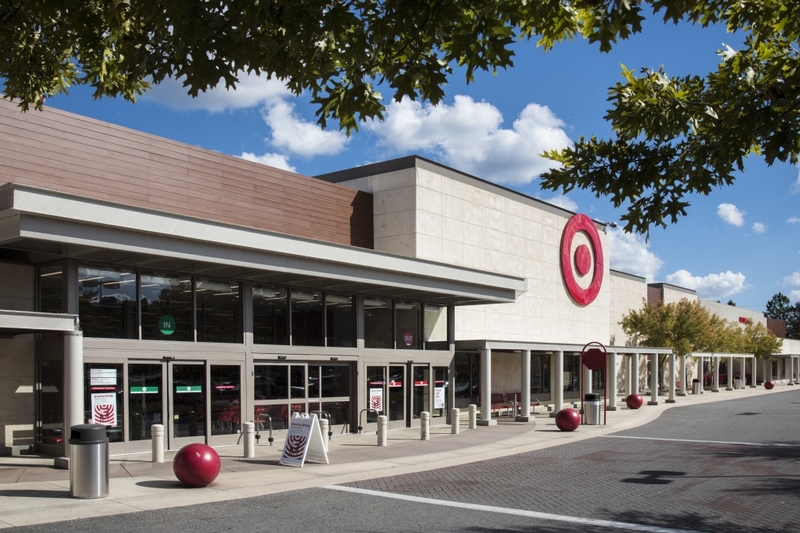 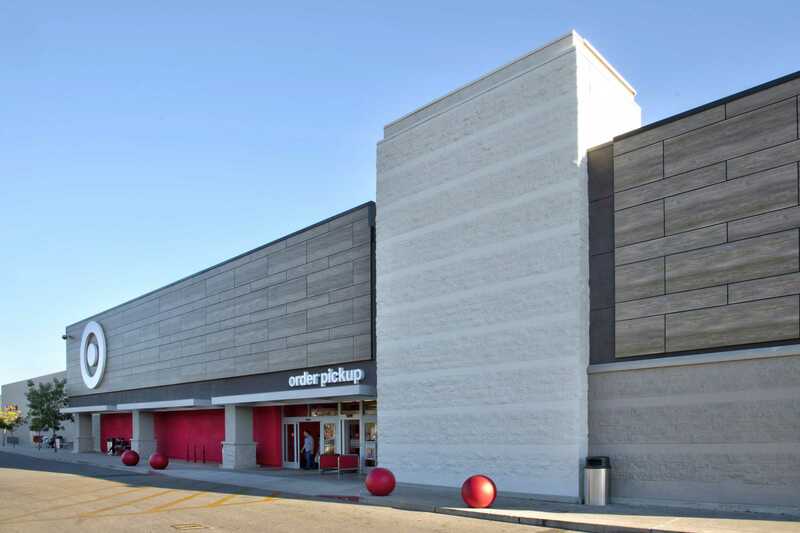 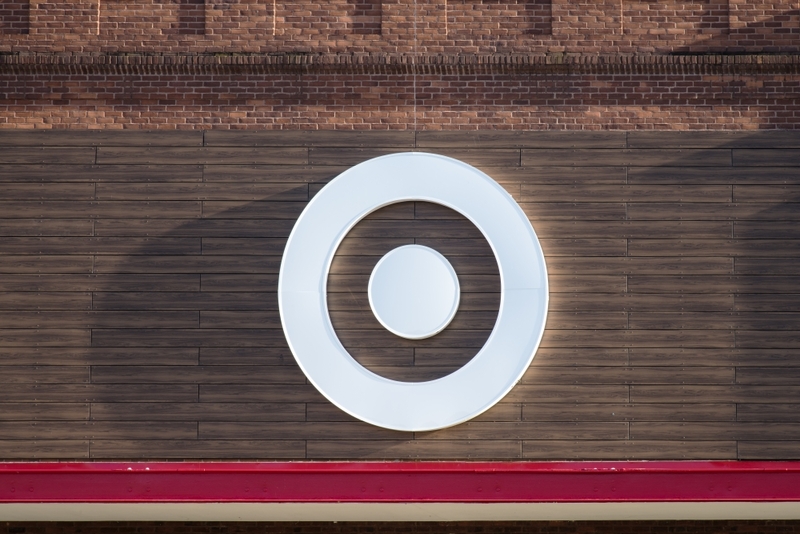 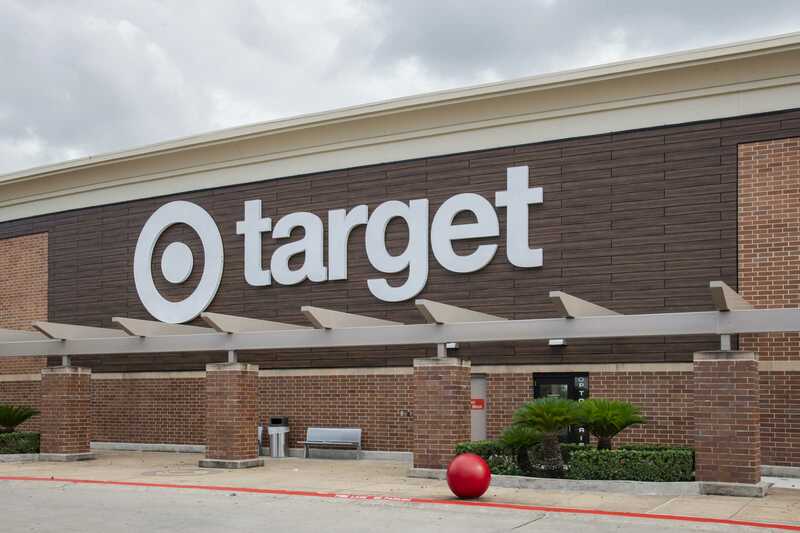 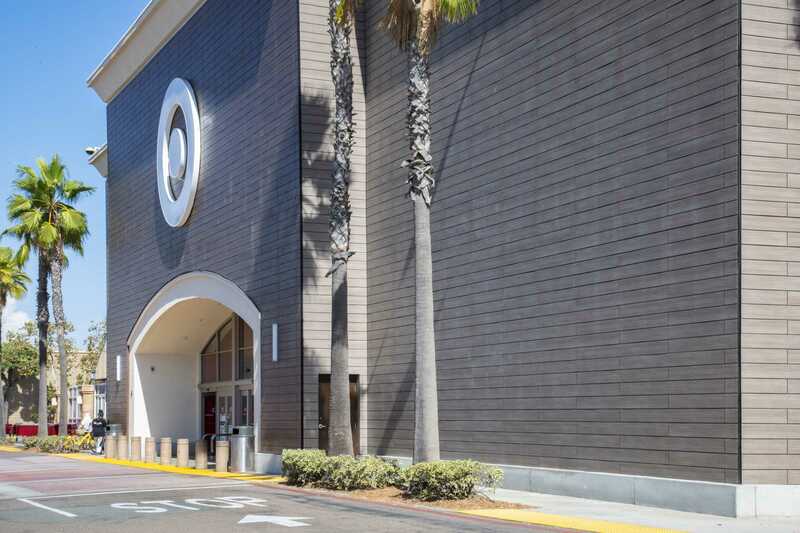 Stonewood Architectural Panels now adorn Target stores across the country, in what will be the largest commercial retrofit job in Stonewood Panel history. 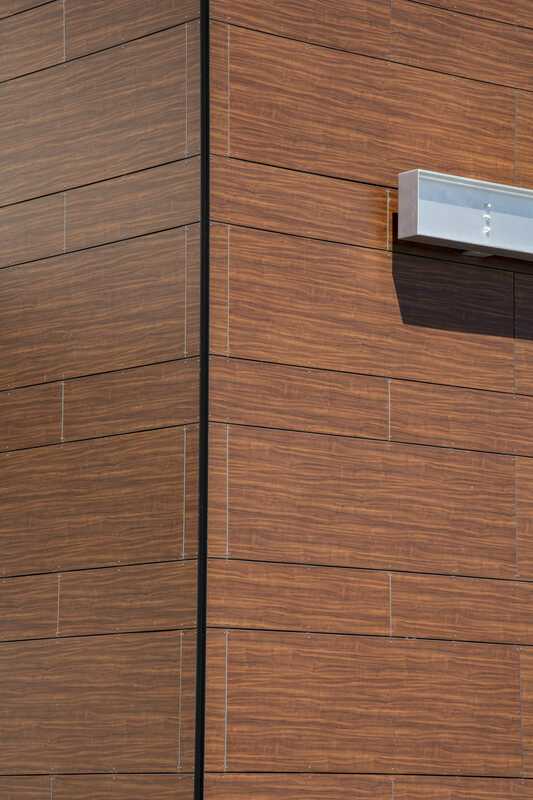 The extensive project converges multiple styles, each represented by a sleek Stonewood panel design. 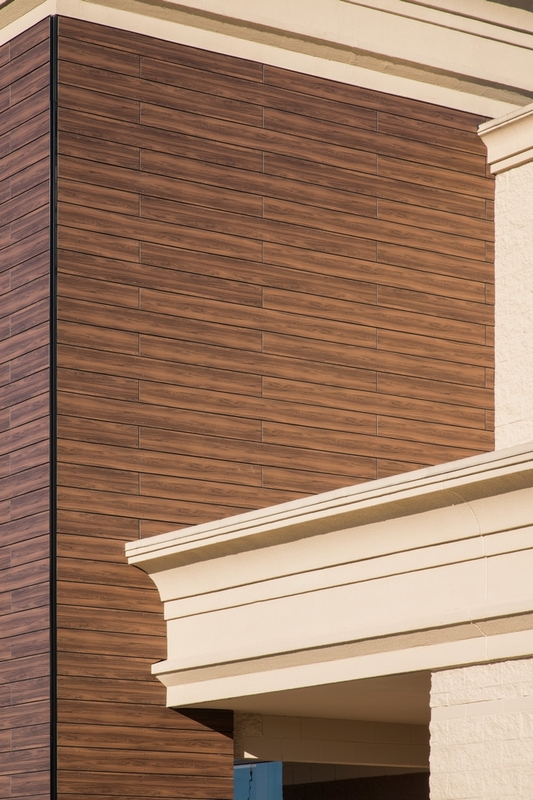 Newly- renovated stores feature inviting woodgrains that instantly update the traditional commercial architecture. 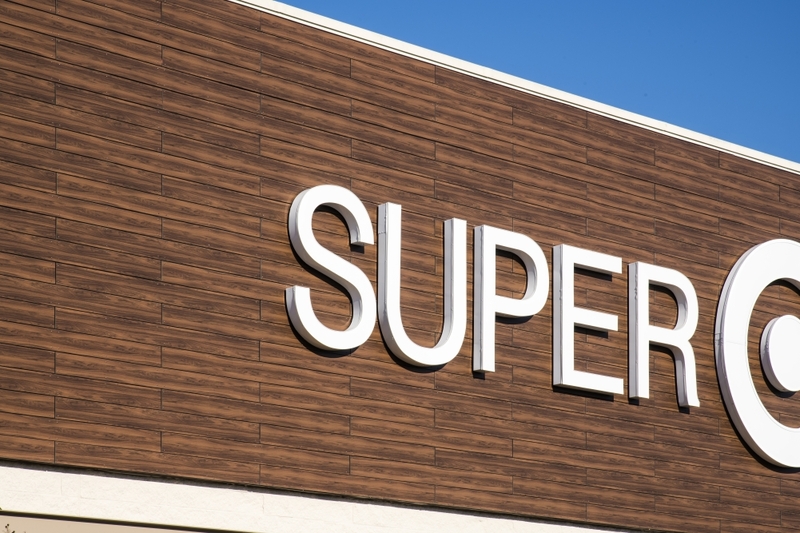 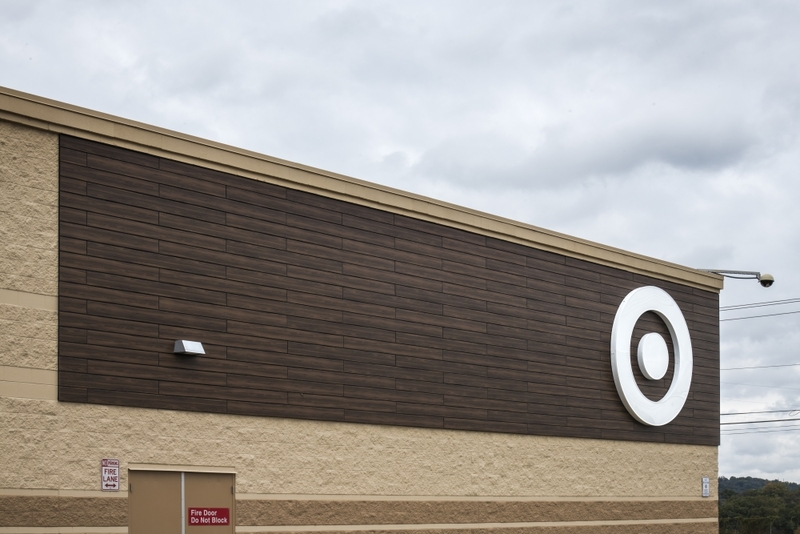 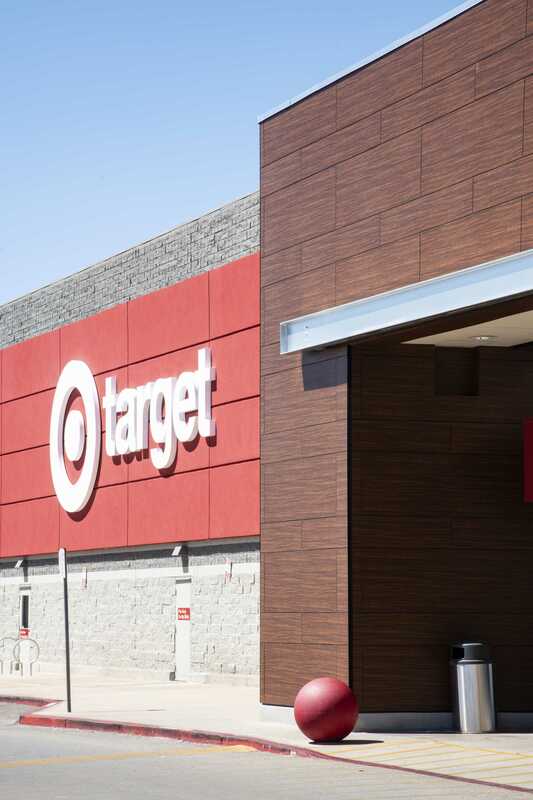 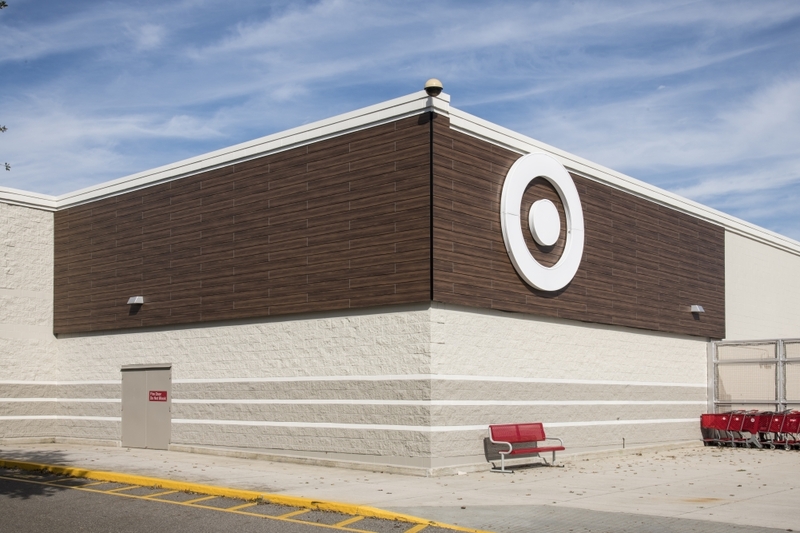 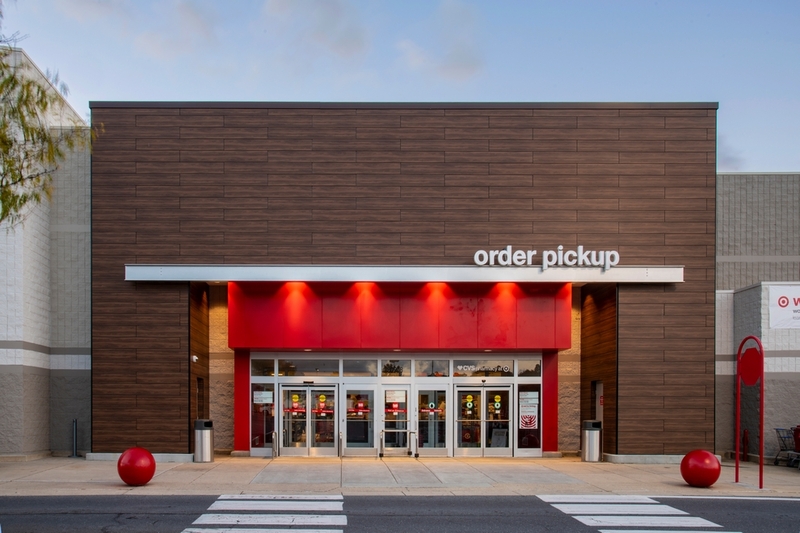 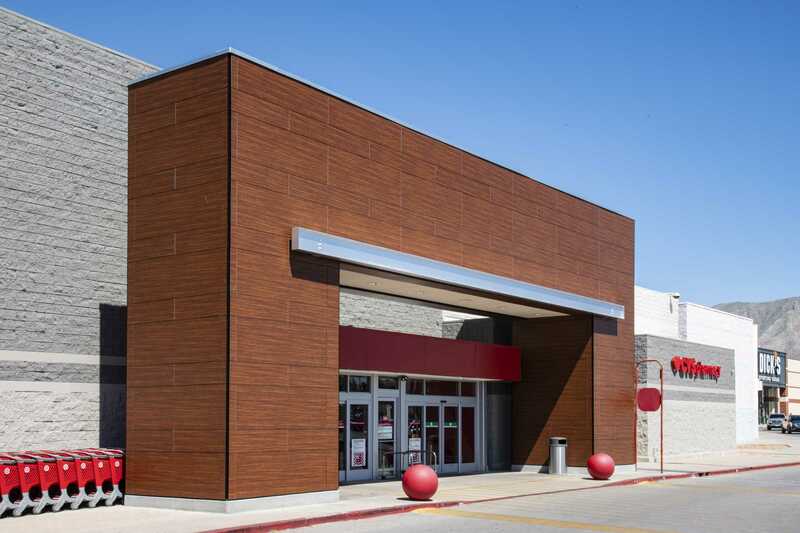 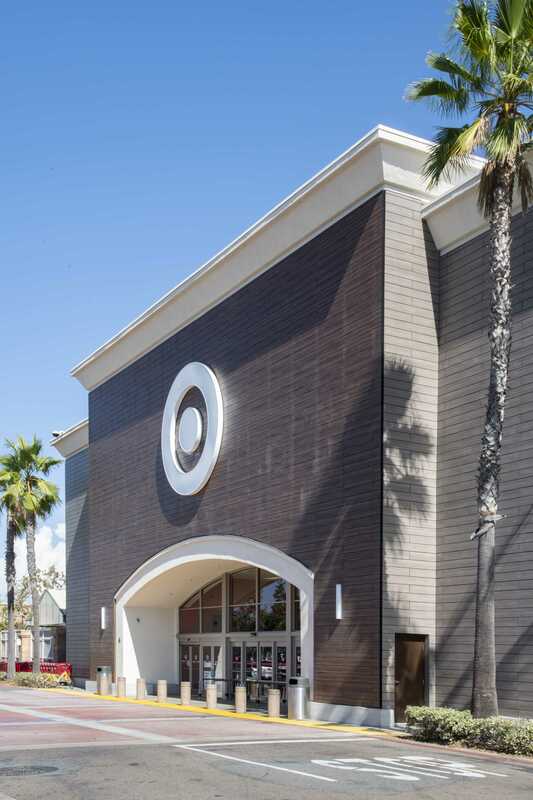 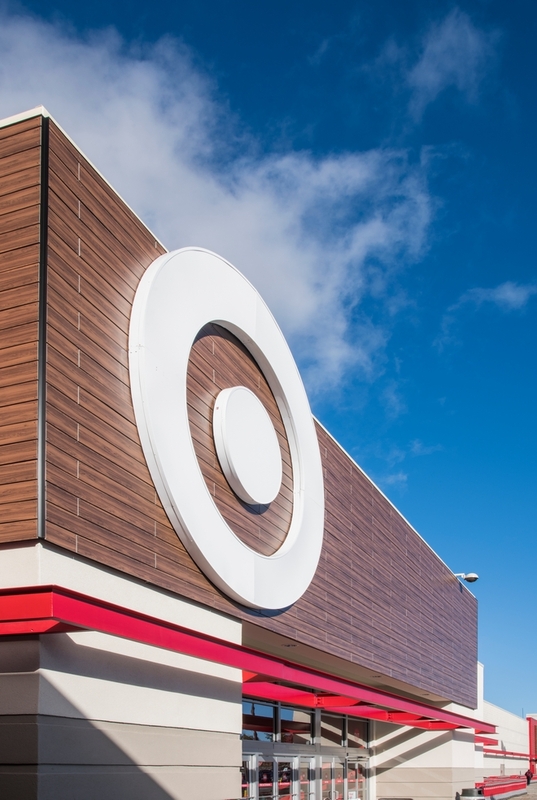 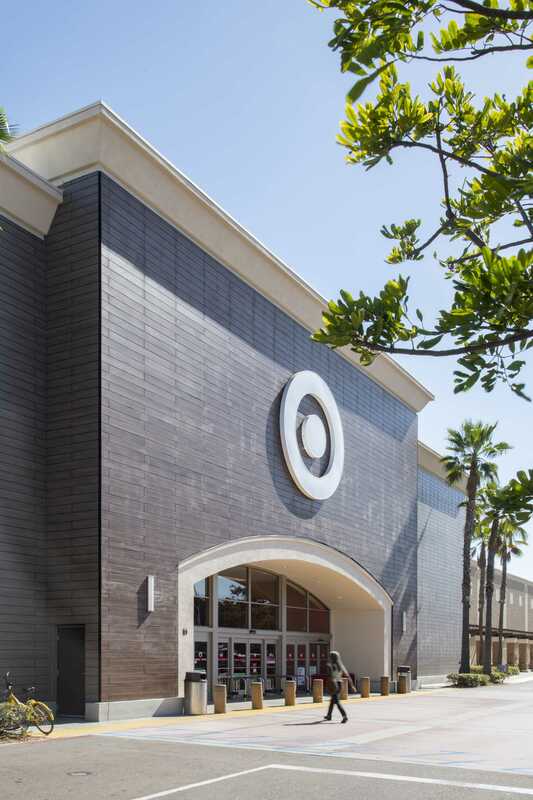 Unique ‘plank cut’ panels accent storefronts and playfully contrast the eponymous target logo, while versatile oak patterns nod to the modern sensibility of the popular retail giant. 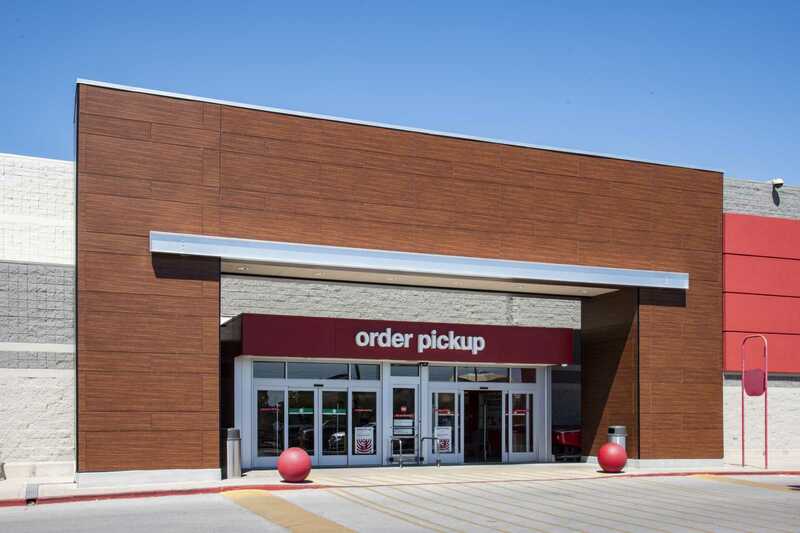 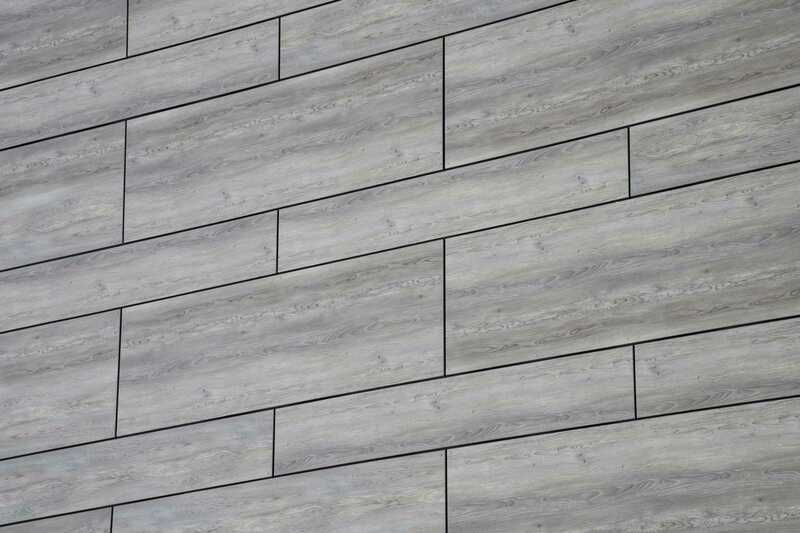 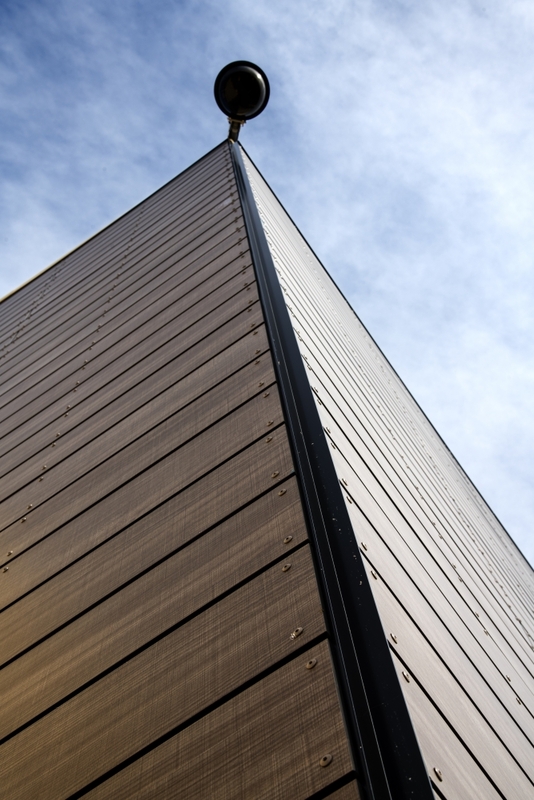 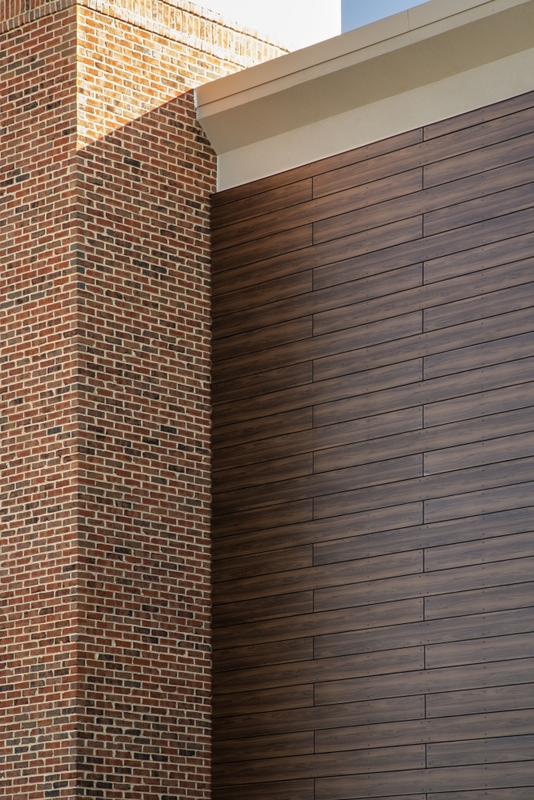 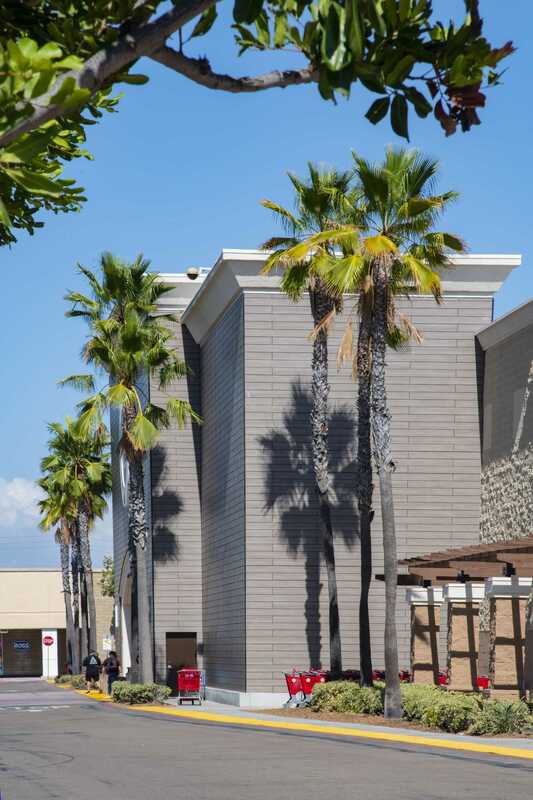 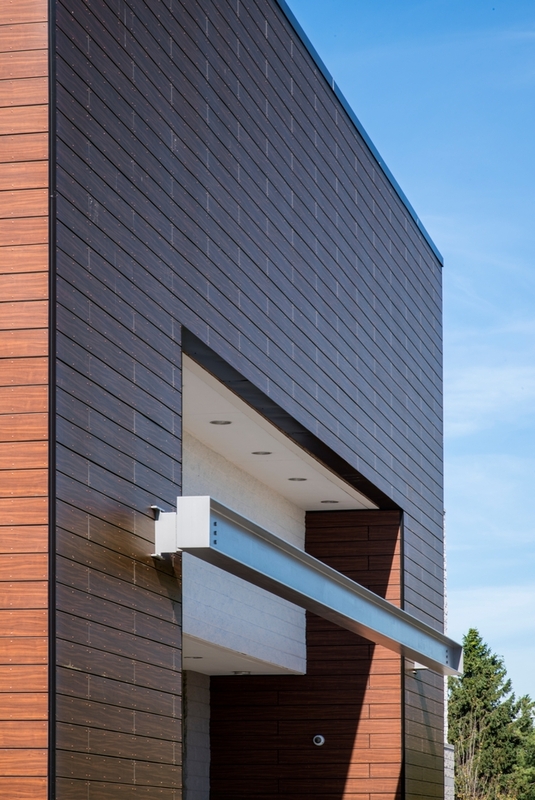 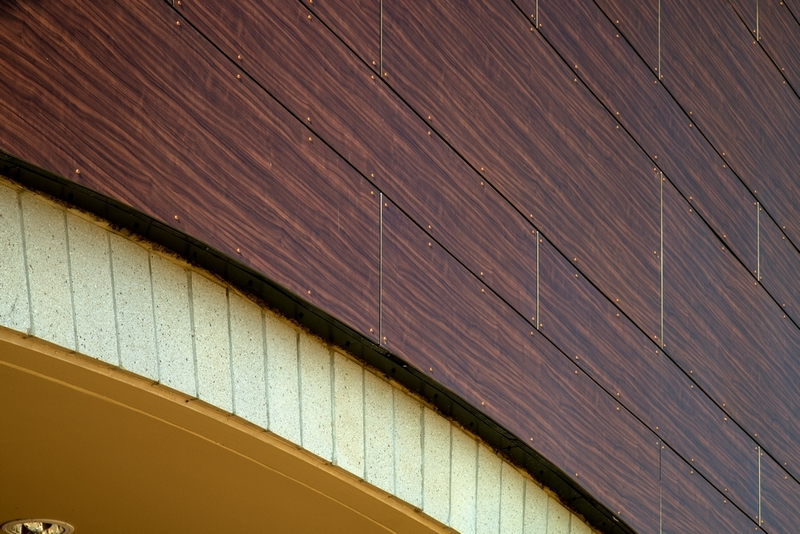 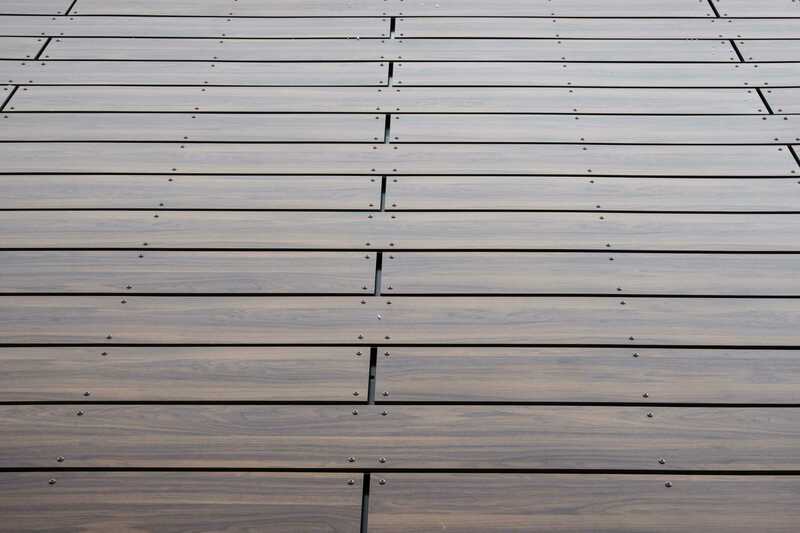 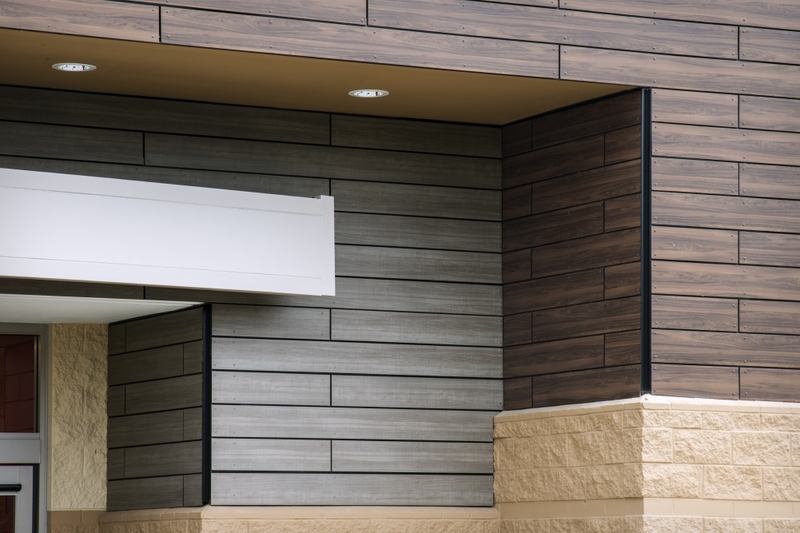 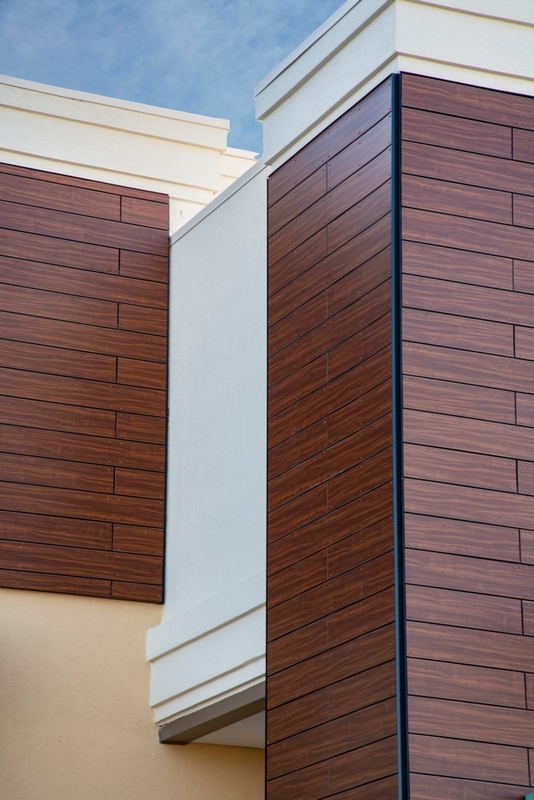 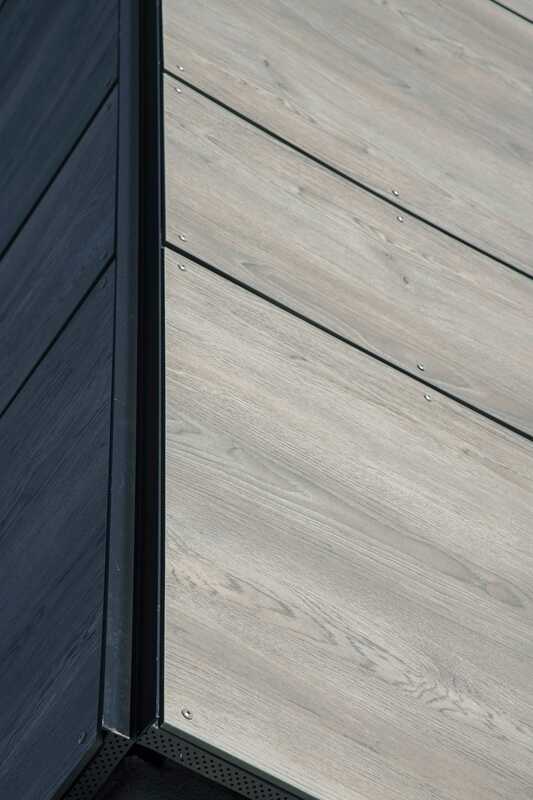 Developers chose Stonewood Panels as the exclusive manufacturer for the four-year project, citing the ease of ordering, product durability, and short lead time–all of which helped the project stay within budget and ahead of the design curve. 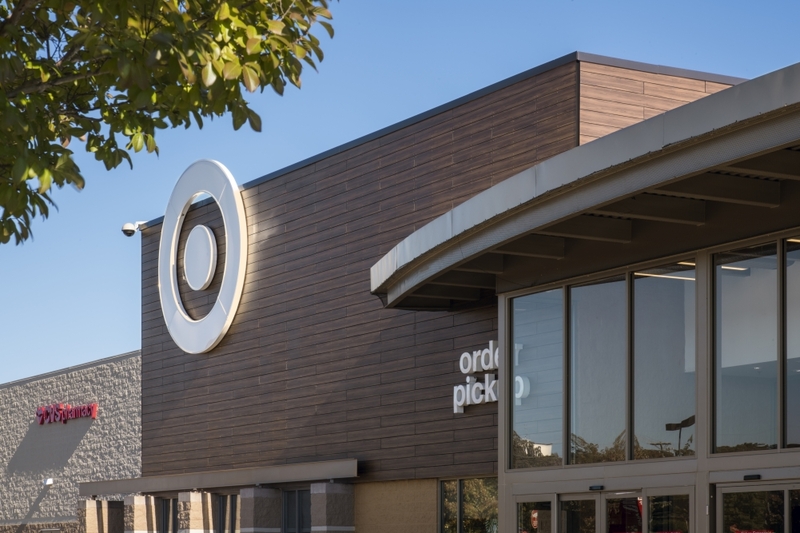 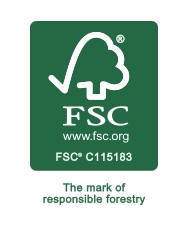 In addition to delivering exceptional product, a dedicated team from Fiberesin coordinated weekly conference calls with Target’s construction management team, developing cost reduction strategies for mounting systems/subframes and continually monitoring the complex project schedule. 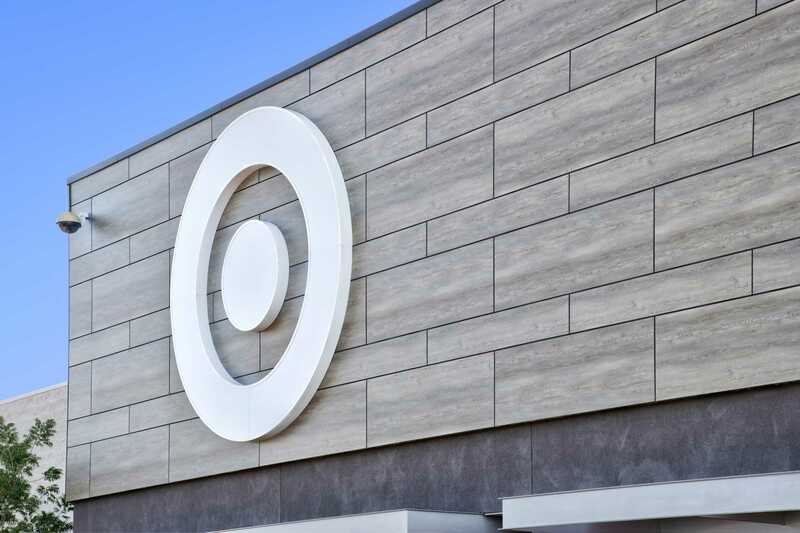 The large-scale corporate renovation is slated for completion in 2023 and will include both Target and SuperTarget locations.